The last instalment of the Three Colours: Cornetto Trilogy reunites onscreen sparring partners Simon Pegg and Nick Frost with their frequent behind-the-scenes collaborator, director and co-writer Edgar Wright. Over the course of two films – Shaun Of the Dead and Hot Fuzz– and two seasons of the cult Britcom, Spaced, Edgar Wright and company have championed the man-child, making unlikely heroes out of grown men who still wax lyrical about Star Wars, zombie movies, ‘80s action flicks and Nintendo. In their latest outing, though, Wright, along with co-writer and star, Simon Pegg, have turned the notion on its ear. 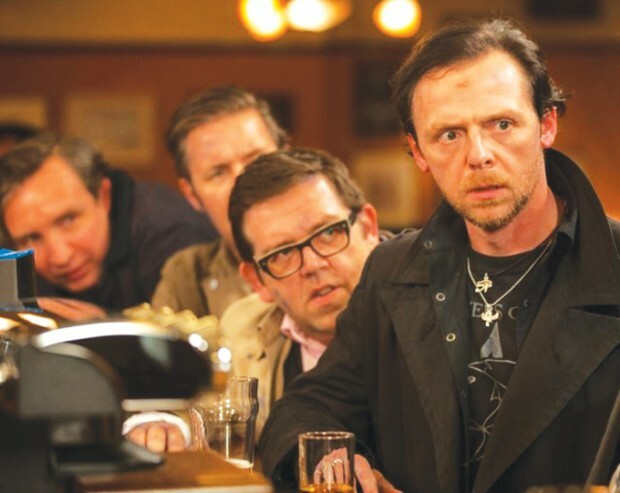 The World’s End sees Pegg’s ageing high school hero, Gary King, reunite with four of his best friends to re-enact a fateful pub crawl that they failed to complete back in the day. The wheels come off when they discover that their old home town has been invaded by aliens (it’s an Edgar Wright film – you have to expect these things) but, for Wright, the true antagonist is King’s inability to let go of his youth.